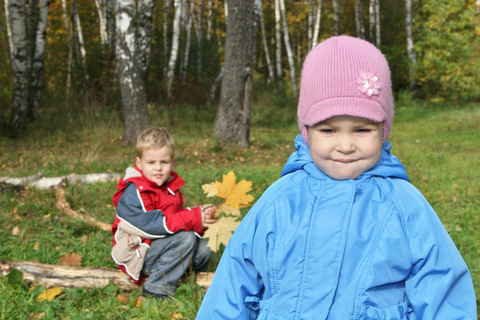 Why is it that two children from seemingly similar backgrounds can turn out so differently? How can one child bounce back from adverse experiences that set the other on a course to lifelong mental health challenges? The answer is resilience. And the truth is, all children start out with the capacity for this powerful protective skill. But whether a child develops sufficient resilience to deal with the hard times life may have in store depends largely on their experiences and environment during the first 3-5 years of life. Edith Grothberg described resilience as the human capacity to face, overcome, and be strengthened by life’s adversities. Without resilience, there is no possibility of persevering after failure. Nowhere to find courage during times of doubt and fear. And no way for a child to pull himself together and behave as expected. Resilience is the glue that holds the mind together – allowing for stability, learning, growth and happiness. It’s a protective factor that allows a child to come through multiple adverse childhood experiences (ACEs) unscathed. It’s one of the executive functions that falls into the mental and cognitive flexibility category, allowing young minds to stay nimble enough to react appropriately to the world around them. And the good news is, resilience practically builds itself for children in healthy early childhood environments. Resilience is a by-product of brain building processes. The act of healthy neural development creates resilience without a great deal of conscious help on the part of caregivers. It’s what Ann Masten, one of the most respected voices on early childhood resilience, calls the “ordinary magic” of children who overcome adversity. From the beginning of life, the neurons in a child’s brain are connecting to one another and building circuits. The circuits that are reinforced and reused over time become stronger. And the ones that are not used are eventually “pruned” though natural processes, fading to dead-end byways that electronic impulses stop traveling. Watch this for more about the basics of neural circuit building. The very construction of a habitual, stable neural circuit that is hardwired into the brain’s architecture at an early age is a physical act of resilience building. A stress response is followed by resolution and a recovery. Fear is followed by comfort and a return to normal. Crying and hunger is met with soothing and feeding, leading to a descalation in emotion and a feeling of security. Over and over, again and again, reinforced and baked in. The brain is structuring itself around the knowledge that when things go wrong, they’ll be set right again with time and some help from loving adults. But what happens when early brain development is compromised? Resilience appears to be a common phenomenon that results in most cases from the operation of basic human adaptational systems. If those systems are protected and in good working order, development is robust even in the face of severe adversity; if these major systems are impaired . . . then the risk for developmental problems is much greater, particularly if the environmental hazards are prolonged. Those children with multiple risk factors – parental addiction, poverty, abuse, neglect – those toxic stressers that derail healthy development. They’re the ones who may not benefit from the protection of naturally occurring resilience. And because resilience is such a critical executive function, it makes sense to work with at-risk children on becoming more resilient. Helping at-risk children build resilience. The International Resilience Project examined a total of 589 children, as well as their families and caregivers. The findings reveal some common factors among children who are showing resilience to multiple risk factors, which the project categorized into three areas: I have, I am and I can. The I have factors are most critical for very young children who have yet to develop a strong sense of self. For young children who may not be developing resilience because of risk factors to healthy brain development, infusing their care environment with more I have factors – and encouraging parents to do the same in the home – will help create some of those stable brain structures required for resilience. Parents are always the first and most important adults in a child’s life. Other care givers and home visitation professionals play a crucial role bolstering the skills of parents and the resilience of at-risk children. Supporting these programs statewide is a solid investment in the development of Nebraska’s future citizens, that has the potential to save the state millions in later intervention costs. Sources: Harvard Center on the Developing Child; Ordinary Magic: Resilience Processes in Development by Ann Masten in American Psychologist, March 2001; Three Sources of Resilience by Edith Grotberg in the Head Start Bulletin, January 2005. Throughout the month of January, this blog will explore different executive functions, how they are developed, and how caring adults can reinforce them.